Here is another entry in my series of hides near fire lookouts. 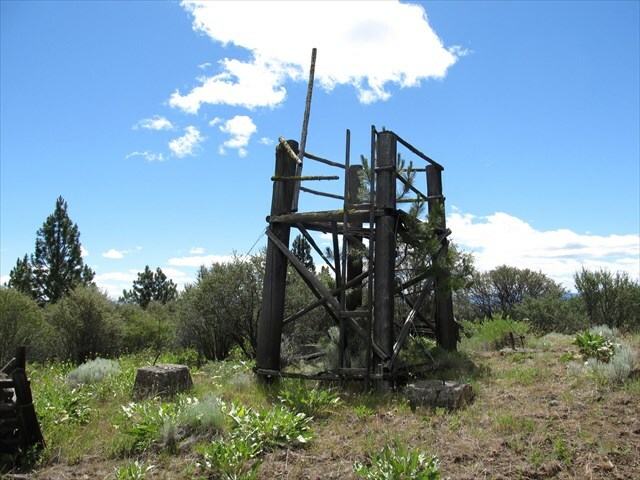 This is Ant Hill Lookout, 4602', in the Umatilla National Forest. 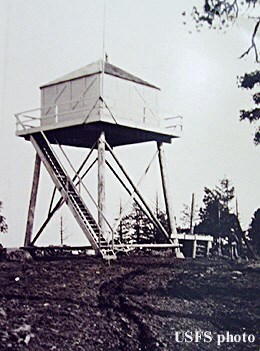 The first structure here was a 20' pole L-4 tower, constructed in 1935. It was torn down in 1956. Then at some point someone recycled parts of the old tower and built the present 10' pole tower with open platform. It is not safe to climb so don't do it! You'll need to park off the 24-180 spur at the listed parking coordinates and hoof it about 1/4 mile to the summit. You're looking for a camo-painted snapware container.